Black Rose - Black Rose in SPAAAAAACE! That’s right — if you haven’t heard from our Facebook page (or our nice little con widget to the left there), Black Rose is headed to SPACE! 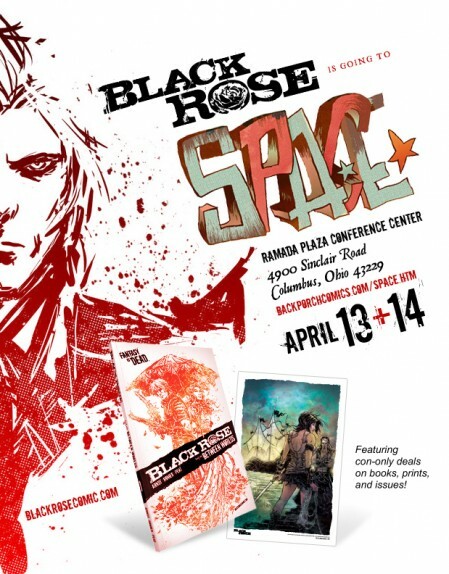 Yes, the Small Press and Comics Expo in Columbus, Ohio — this weekend, April 13-14. It’ll be our second year exhibiting and we’re very excited to return. Last year was a great show (you can see a couple pics and a short writeup at Brandon’s blog) and this is a perfect way to kick off our 2013 con season. 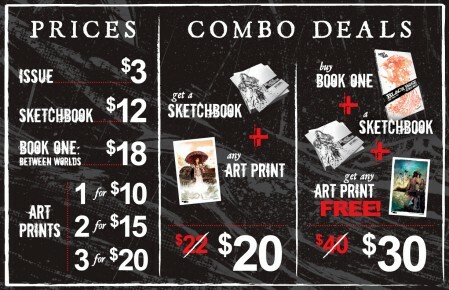 We’re going to have our complete lineup of merch available, plus several con-only combo deals that aren’t available in our online store!